Snug enough for anyone’s budget, the rooms have a menu of amenities. The Charlesmark Hotel sits right on the finish line of the Boston Marathon on Boylston Street, but if you’re thinking you’ll book a room and plan a party, you’re too late — rooms fill up a year in advance for Marathon Monday (April 15 this year). Otherwise, this skinny-as-a-supermodel (or elite runner) boutique hotel is a good, budget-friendly choice if you’re planning a weekend escape from the suburbs or setting up out-of-town guests. People-watch from the in-house lounge and martini bar. 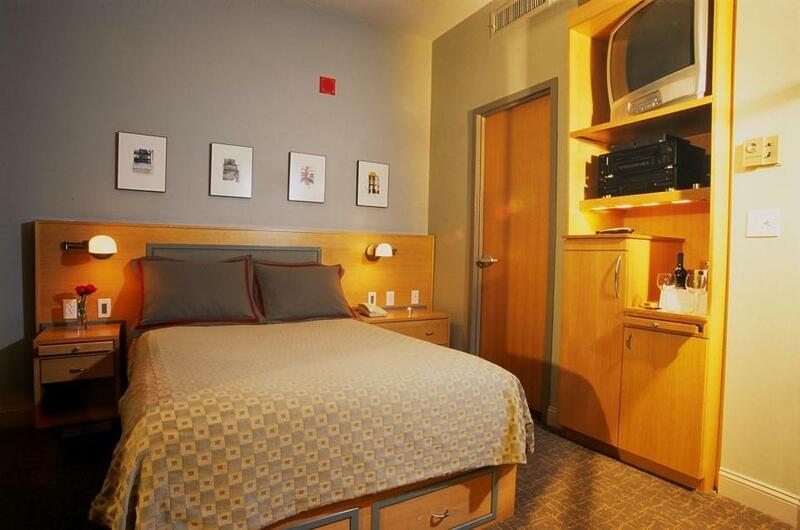 the queen rooms offer a tad more space at 260-325 square feet. The contemporary-style, mostly custom-made furnishings are designed to maximize space, so it feels a bit like being in a cruising yacht. Free Wi-Fi adds to the value. The room rate includes a continental breakfast with bagels from nearby Finagle a Bagel and doughnut sticks from Dunkin’, plus coffee and fresh fruit, but there’s no room service — for that, you can order in from 50-plus restaurants, or just head next door to Bangkok Blue for Thai. Fancy an adult beverage? No problem: There’s a martini bar-lounge in the front of the house. If you’re the type who would choose value and location over fancy and frills, the Charlesmark is your place. 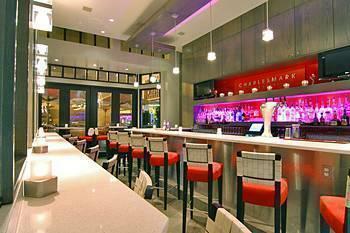 655 Boylston St., 617-247-1212, www.charlesmarkhotel.com. Rooms $99-$279.